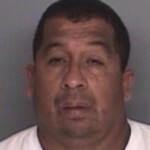 Santa Barbara County Sheriff’s deputies arrested Jose Luis Coronado, 52, Friday. Coronado is accused aggravated sexual abuse of a child in Utah and may have committed similar crimes in Santa Barbara County. After fleeing Utah, Coronado lived in both Lompoc and Santa Barbara. Deputies booked Coronado in Santa Barbara County Jail. He is expected to be transferred back to Utah.